Experience – It’s safe to say that we know the industry like the back of our hands. 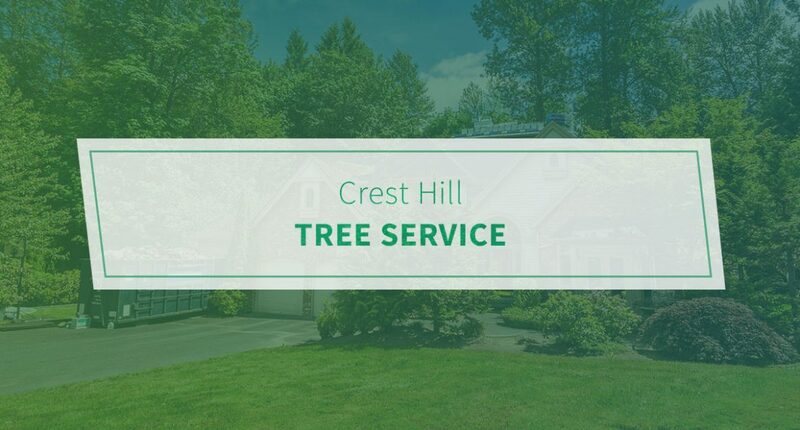 Since 1989, Crest Hill residents have relied on us to get the job done right the first time. We go above and beyond to ensure that our customers make the best decision possible. Not to mention, we are happy to answer any questions you may have. Affordability – Tree care is an investment. That said, Pro Tree strives to offer the most competitive prices in the area. It’s why we offer the Best Price Guarantee. Simply come to us with any written, reasonable estimate and we will match or beat it by 10 percent. There are no hidden fees or gimmicks to worry about, either. Reliability – Crazy things happen to trees once in a while. For example, maybe a lightning strike gets the best of the one in the front yard. Consequently, you need it removed from your property immediately. For your convenience, Pro Tree offers 24-hour emergency response service. Fully licensed, bonded, and insured – You take on significant risk when you choose to hire a tree service that lacks proper licensing and insurance. Note that we are legally incorporated and carry commercial general liability, workman’s compensation, and all required municipal bonds and licenses. See what Pro Tree Service can do for you. Request an estimate today.